About an hour before the Philadelphia 76ers tipped off Game 1 of their first-round series against the Brooklyn Nets on Saturday, Sixers owner Josh Harris tried to project an air of triumph. Only there was plenty of cause for trepidation when examining his team. 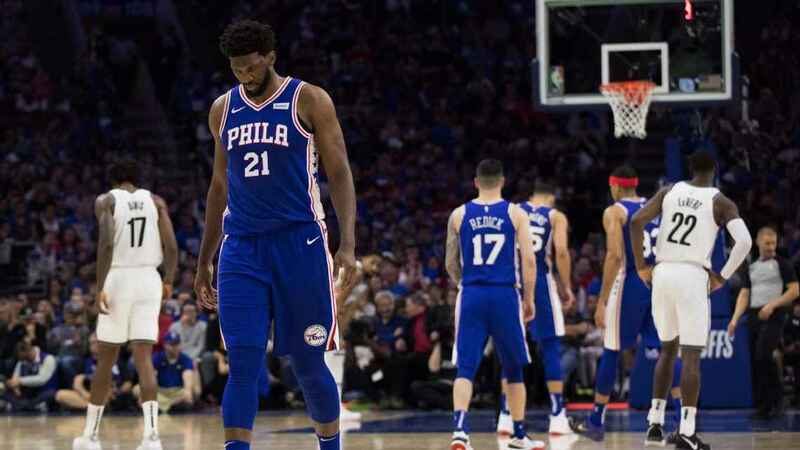 Joel Embiid, Philadelphia’s force-of-nature center, was a game-time decision because of tendinitis in his left knee — the same knee that was operated on in 2017 to remove a small portion of frayed meniscus — and coming into the postseason having sat out 14 of 24 games since the All-Star break. But what exactly does a “deep run” mean? And if the Sixers don’t go deep, what does that mean for their coach Brett Brown? And what about that collection of talent? If they don’t go as far as Harris expects, will he still dig into his pockets to keep the likes of Jimmy Butler, Tobias Harris and JJ Redick in free agency? Embiid ended up playing, scoring 22 points on 5-for-15 shooting with 15 rebounds, 4 assists and 5 blocks. But the Sixers were outscored by 17 points in his 24 minutes, and lost 111-102. It didn’t even feel that close, as they trailed by as many as 17 and were booed off the court by the home fans who hadn’t left early — as a hoard of Philly faithful did with about three minutes to go. Brooklyn isn’t the team that has played less than a dozen games with its starting unit together. Brooklyn isn’t among the four teams widely considered to have a chance to make the Finals out of the East now that LeBron James is in Los Angeles. Brooklyn isn’t the team worrying about its star’s health — heck, the Nets got 23 points out of Caris LeVert and there were doubts earlier in the season if he’d be able to contribute in 2018-19 after the nasty ankle injury he suffered in November. Brooklyn isn’t the team with a second star like Ben Simmons who plays guard in the best basketball league in the world, yet is 0-for-17 for his career from beyond the 3-point line.